I began looking for patient accounts about a decade ago. At the time, I found only just over a dozen of books published in English, and one diary in French. I was astonished that there were so few, especially because I felt that the popular press had long preferred Alzheimer’s disease to any other subject in its health and wellbeing pages. Also, patients usually have five to ten years between diagnosis and death, and, at the time of clinically perceivable onset, can continue to articulate themselves proficiently in writing, as well as retaining figurative language. Still, Alzheimer’s patients would not write. The condition, according to physician Robert N Butler, ‘seriously jeopardizes the faculties we ordinarily define as uniquely human: memory, personality, recognition, awareness, the capacity to love, even a sense of hope. The brain, the mind, the spirit, and the will (and we need not make obviously important distinctions here), which constitute the central locus of humanity, are affected. Their loss, net to the total loss of self (i.e., death), is the most frightening specter confronting human beings’. Butler wrote this in 1992. His depiction of the condition matches current notions to an extent that indicates how little mainstream ideas about Alzheimer’s disease have changed in recent decades. From a pharmacological perspective, Alzheimer’s disease – comparable to HIV/AIDS before disease modifying drugs became available – is a ‘death sentence’ (I have reflected on further similarities and differences in a recent article in Literature and Medicine). In comparison for example to the experience of breast cancer, patients cannot expect any significant variation in disease trajectory – no remission, no victory. In fact, at least a quarter of the patient narratives I have found are self-published, with author-narrators talking about the difficulty of selling their story to a trade publisher. Who would want to read a story of decline, loss and inescapability? Patient narratives: an ‘orphan genre’? From the perspective of literary scholarship, patient narratives are an ‘orphan genre’. Wondering how critics had received these patient narratives I found even less contributions. Two early articles about patient narratives particularly stay in my mind. They have shaped my thinking not so much about the considered narratives themselves, but rather with regard to criticism about patient narratives. Anne Davis Basting’s ‘Looking back from loss’ (2003) is arguably the most frequently cited and earliest contribution to the field; and a group of social gerontologists around Ellen Bouchard Ryan, in 2009, published on writing as the patient’s means to reclaim social identity. For these critics, the core question was how patients can write ‘authentically’, when Alzheimer’s disease signifies the loss of memory and the ability to narrate. Patient narratives cannot easily become the object of literary analysis because the patient ab origine is being denied the capability to narrate. Does literary scholarship run the danger of perpetuating the mainstream image of the ‘dead’ patient: amplifying the caregiver’s view? Losing My Mind, by Thomas DeBaggio. 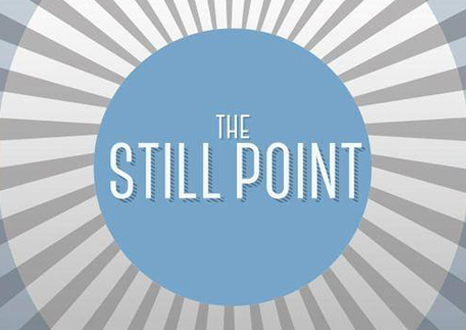 Where literary criticism focuses on dementia life-writing, it focuses on caregiver accounts. Already when I began my enquiries, the number of caregiver narratives was substantial in comparison to that of patient stories, and I easily found texts in English, French, German, Italian and Spanish. Early narratives were intended as guides for fellow caregivers who struggle under the burden of care for a parent or partner who is no longer a parent or partner. Later accounts tell stories of love and loss; explore the meaning of cultural memory; become manifestos against the poor quality of care in the neoliberal West. They offer a boundless field for literary scholarship. But this also means that literary scholarship runs the danger of perpetuating the mainstream image of the ‘dead’ patient: amplifying the caregiver’s view, while reducing the awareness of the existence of patient narratives. 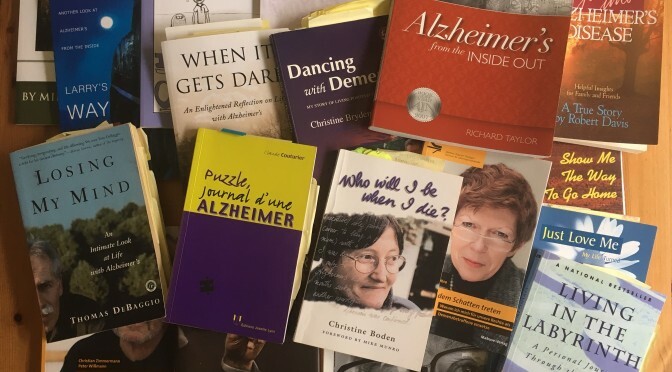 In The Poetics and Politics of Alzheimer’s Disease Life-Writing I reflect on the small body of patient first-person accounts, and contrast it to selected caregiver third-person memoirs. Earlier work on illness narratives identified various phases in illness life-writing, outlining a transition from utilitarian purposes to more autobiographical writing. I similarly observe three phases in the short history of dementia patient life-writing, but there is no clear move towards more autobiographical accounts. The core drive to write is always the same: to assert personhood and self. But the style and form of the narratives have changed over time. Initially, patients employed traditional plots and illness myths like the journey. Such storylines – comparable to those of what Barbara Ehrenreich and Kathlyn Conway criticised as triumphalist illness narratives – helped patients gather a readership attuned to the caregiver’s perspective and accomplished storying. Yet, they reveal the impossible task for the patient of finding a positive closure in a disease trajectory that denies the narrator a plot other than the ‘journey of no return’. Alzheimer’s from the Inside Out, by Richard Taylor. As patients gained confidence in publishing their story, they became freer in their formal choices and narrative strategies; more direct about their challenges. Some, indeed, felt free enough deliberately to mimic cognitive challenge, as Thomas DeBaggio in Losing My Mind (2002). Audio taped material transcribed and organised by a professional writer acknowledges intellectual difficulties; a diary traces cognitive decline, and essay collections circumvent the need for closure altogether while serving the patient’s short attention span as much as political pursuit. The purpose of all accounts remains the assertion of the self. Since I first looked for patient narratives, only very few further texts have been published – as if the community of patients felt that all has been said. 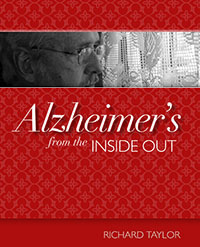 The last internationally celebrated account, Alzheimer’s from the Inside Out, came out in 2007. In short essays, the patient activist Richard Taylor fights against cultural and societal preconceptions, and calls for dignified care in the continued absence of a cure. He literally shouts at the reader in frequently capitalised or italicised text to convey his central message: ‘My spirit (whatever that is and means at any given moment) is shaken, weakened, and hesitant to express itself, but it is still alive within me.’ (p. 219) Taylor’s book has appeared with a healthcare publisher, and its format and design underline its scope: Alzheimer’s from the Inside Out resembles a degree course textbook. Changing the time-honoured narrative of loss (about whose origins I write in my second book) begins with learning from the patient. 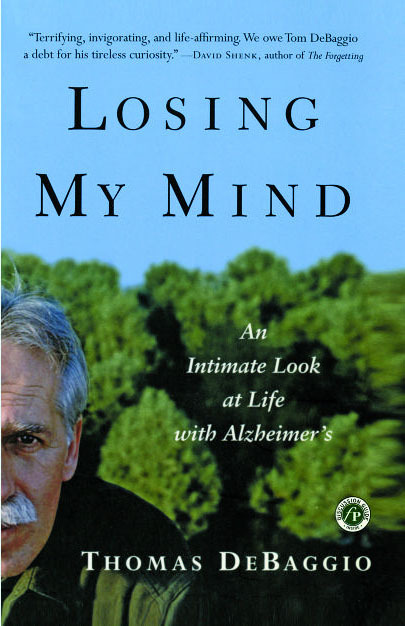 The Poetics and Politics of Alzheimer’s Disease Life-Writing, by Martina Zimmermann. 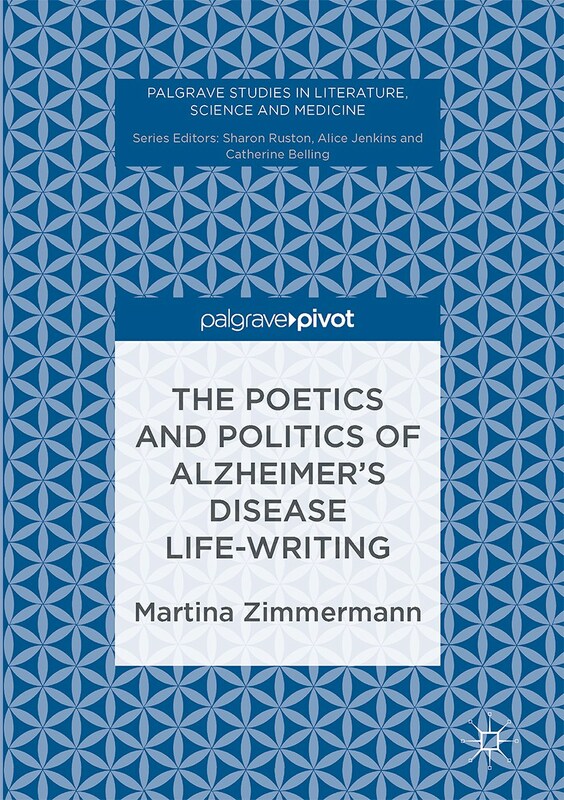 The Poetics and Politics of Alzheimer’s Disease Life-Writing has just come out as part of the ‘Palgrave Studies in Literature, Science and Medicine’. 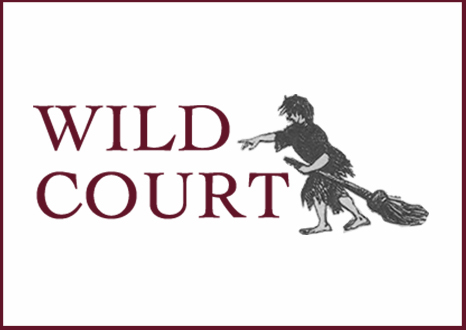 Thanks to Wellcome Trust funding, it is open access and can be downloaded free from the publisher’s webpage at: http://www.palgrave.com/gb/book/9783319443874.